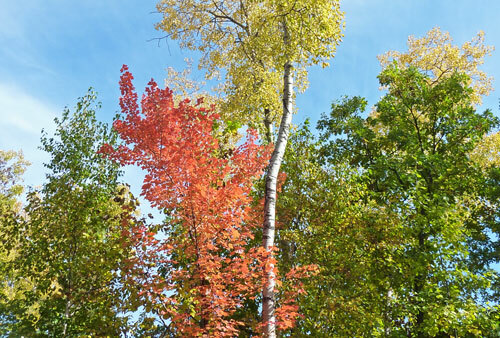 Tuesday, September 27, 2011: With cooler overnight temperatures, the tree leaves were turning color. 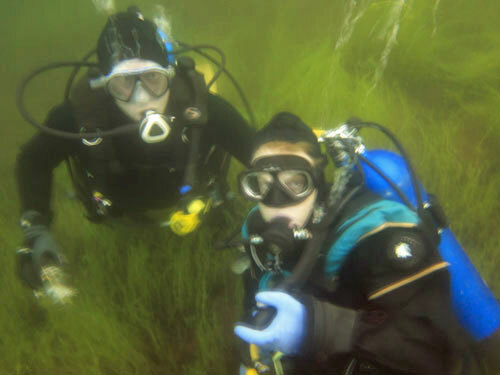 Paula (on the right) was out SCUBA diving in one of the pits near Crosby, Minnesota. In fact, this was her 400th dive. It took 11 years to get that many. It averages out to 36 dives per year....most of them near Crosby. Paula is very much at home in the water. 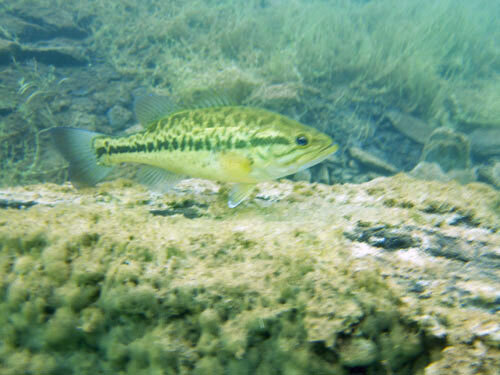 Along the way, she spotted this bass. Yes, there is good fishing to be had in that area. After coming up, it was time to eat. 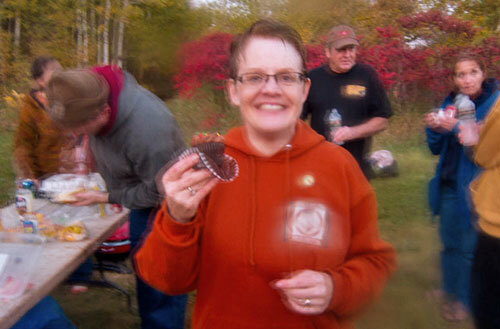 Paula brought cupcakes to celebrate the event. Chocolate is her favorite. 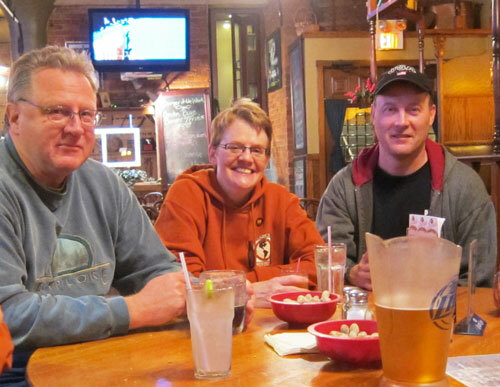 Afterward it was off to the Last Turn Saloon in Brainerd to celebrate with her diving buddies.